Edo State Governor, Mr. Godwin Obaseki, has applauded the Edo State Police Command led by Commissioner of Police, Mr. Johnson Kokumo, over the reduction in cult clashes, armed robbery and kidnapping incidents across the state. 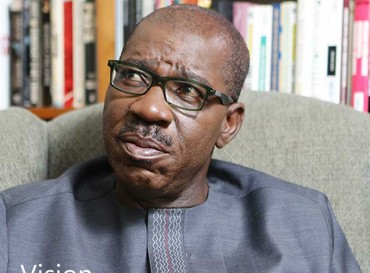 The governor’s commendation is coming on the heels of arraignment by the Edo State Police Command of 72 armed robbery, cultism and kidnapping suspects, who have been terrorising Benin metropolis in the past few weeks. “It is evident to all that the synergy between the state government and the Police hierarchy is yielding results. I not only commend the command for the effort to dislodge the cult groups, I charge them to dig deeper and cut-off the roots of the miscreants, ensuring that safety returns to our streets,” he stressed. He advised the police command to work with sister security agencies operating in the state to rid Edo of criminal elements. He assured that the state government will continue to do all that is necessary to make the state safe and conducive for social and economic activities.